It’s Sprocket’s birthday! Well, we’re guessing it is – being a stray we’re not exactly sure when his birthday is so we’ve made a guesstimate for his first birthday. 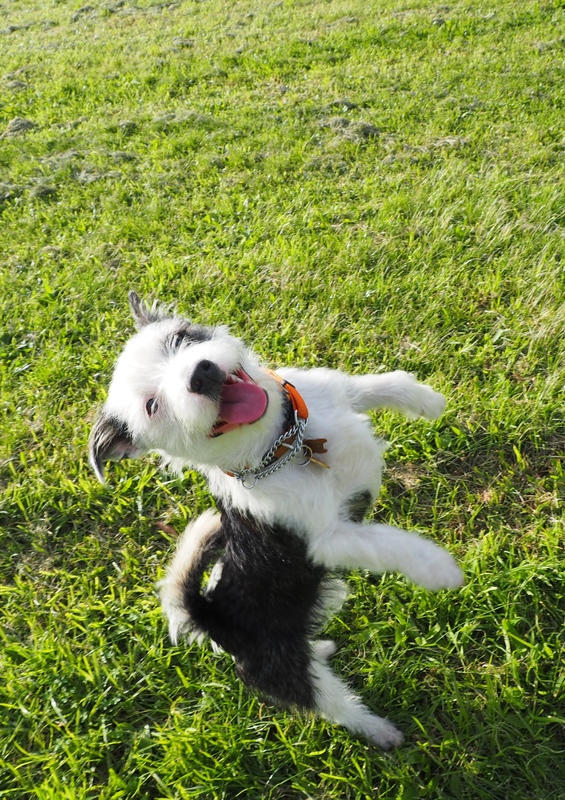 Sprocket is still very much a puppy – full of energy and curiosity and his infamous cheeky streak. At the moment obedience training is all about getting him to the point where we can take him off lead. Because he’s still quite young he doesn’t always pay attention or stay focused so the challenge is to keep him engaged and happy during training. Eventually we want to get to the point that he will listen to commands by voice, stay focused at a distance and trust him off lead – particularly with other dogs around! The lesson I’ve taken out of our recent training is that it can be way too easy to get frustrated and the forget the most important part – have fun. He’s learned some basic commands and tricks, but as we get more complex it can be quite mentally taxing for both of us. Our obedience club makes a particular effort to teach us about enjoying training with our dogs and making sure your dog considers training to be a fun and positive experience. With quite a hectic schedule in other parts of our lives (work, social life) it’s been hard to find regular training times so our upcoming priority is to get back into a routine of daily training so Sprocket can continue learning and maturing and so we can strengthen our connection together. He’s in the early stages of learning more flashy tricks like jumping through hoops and the like so I can’t wait to show off what he’s learned.